The Stranger's Child, tells the story of a Rupert Brooke-like poet who dazzles and seduces all who meet him. He dies young in the Great War, and as the years pass his reputation soars. Those who knew him, and those who wished they had, vie for his reflected glory, despite the tangled web of myth, lies and secrets buried in the hearts of those he touched. 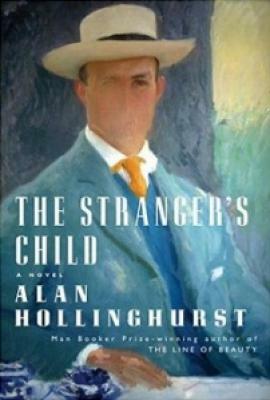 Alan Hollinghurst is the author of the novels "The Swimming-Pool Library, The Folding Star, The Spell "and" The Line of Beauty, " which won the Man Booker Prize and was a finalist for the National Book Critics Circle Award. He has received the Somerset Maugham Award, the E. M. Forster Award of the American Academy of Arts and Letters and the James Tait Black Memorial Prize for Fiction. He lives in London.